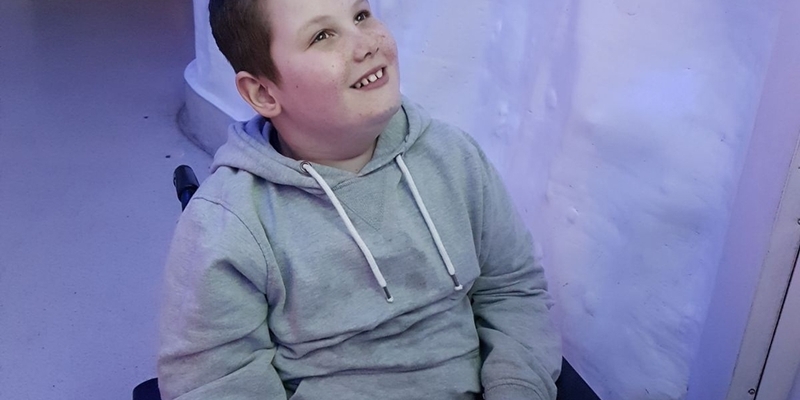 This week, we would like to help change the life of a 10 year old boy from Hull called Lincoln. Lincoln has a condition called tuberous sclerosis which sadly there is no cure for. He also has a SEGA brain tumour, drug resistant epilepsy, autism and ADHD. Lincoln can’t talk, and can have anywhere up to 200 seizures every day. After a severe seizure, he is unable to walk for up to 2 days. Lincoln also has younger siblings and the children are all cared for full time by his mum. Lincoln's dad helps as much as he can - especially as Lincoln is very heavy for 1 person to lift now - but he also has to work to support them, so can't be home all the time. Because of Lincoln’s high needs, his mum can’t usually leave the house with the children. It’s just too difficult on her own. Their garden is concrete, which isn’t safe for Lincoln if he has a seizure, so that means they can’t go outside very much. They are quite literally housebound. Lincoln’s mum and dad would love to make the garden usable for all of the children, and we would love to help them do it! If we can raise funds to pay for turf, they have an army of volunteers (friends and family) willing to do the work. I spoke to Lincoln’s social worker who said he is craving sensory experiences…he loves water and tries to plays with drains…so we would also love to buy Lincoln sensory things he can use in the garden. It isn’t an easy time for Lincoln or his family. His social worker said his younger siblings have virtually become young carers because his needs are so high. But with your help, we want to make all of their lives a little bit easier. 1. Donations for turf - If we raise more money than we need for the turf, the additional funds will be used to help the family in other ways. To make a donation, please click the link below. 2. Sensory toys / Garden toys - We want to help create a fun, safe space - not just for Lincoln, but for the whole family. To buy a sensory or garden toy, please click the link below to be taken to the Amazon wishlist. All items bought will be sent straight to the family from Amazon (simply choose the gift registry address at check-out).